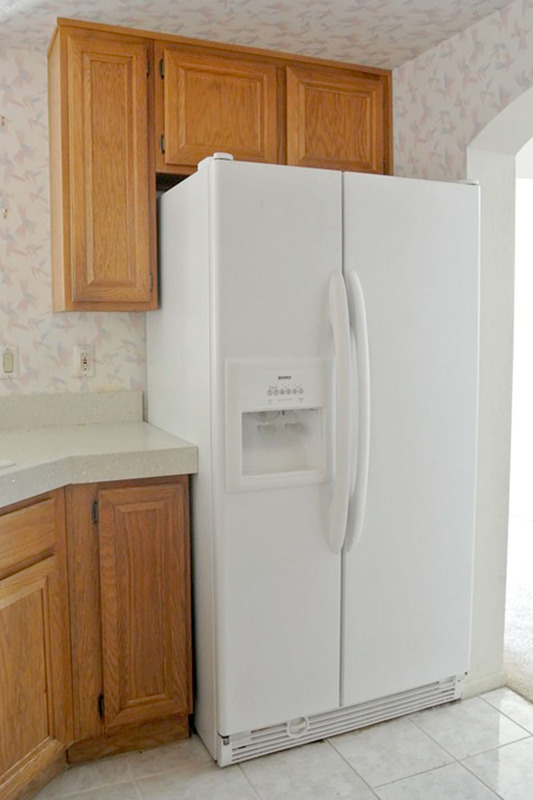 In many kitchens to this day, one will find this type of cabinet or had a cabinet similar to it, set back on the wall over refrigerator. The problem with having a wall storage like this, makes it practically a worthless cabinet that is seldom accessed, unless the person is a six footer with long arms!. To resolve this problem, I designed and built a refrigerator top cabinet to be readily accessible and provided storage features that are most practical and useful.